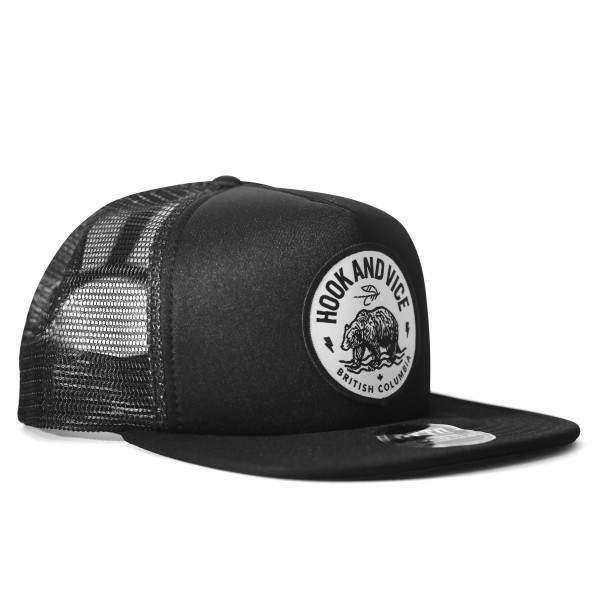 LoPro Trucker - Hook | Hook And Vice flat brim trucker cap. 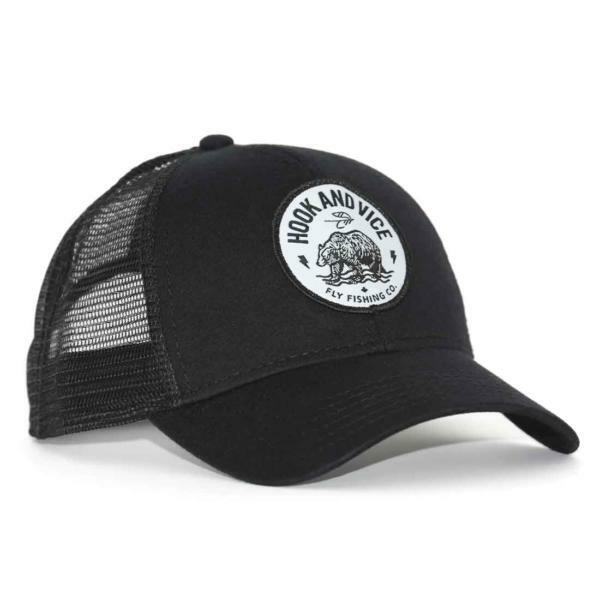 If you love fly fishing and good times this is the perfect foam front trucker cap for you. With a foam front, mesh back and snap back. We chose this patch design with our classic fly logo because it says fly fishing, fly tying, adventure, and BC. 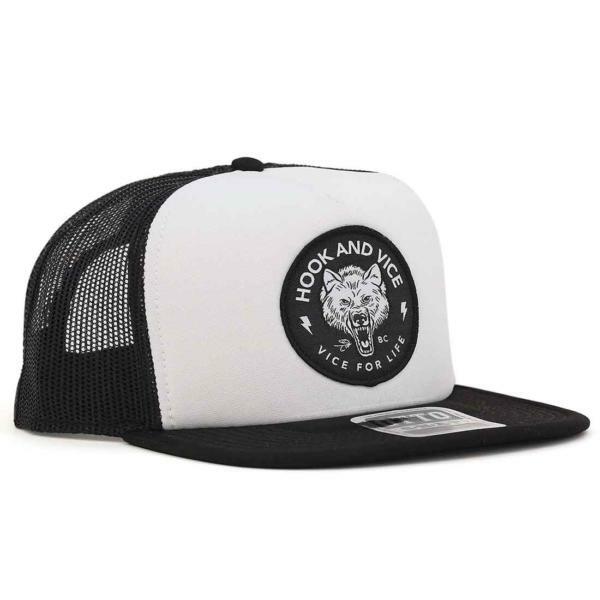 We love the flat brim because you can either wear it flat, or you can give it a slight bend to suit your style.